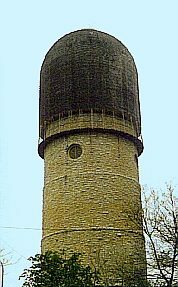 This water tower was completed in 1890 and is still in use. The tank holds 250,000 gallons of water. The design was by William Coats. The work began in 1889, using day workers from the area.